The Soil Judging Team takes grit seriously. 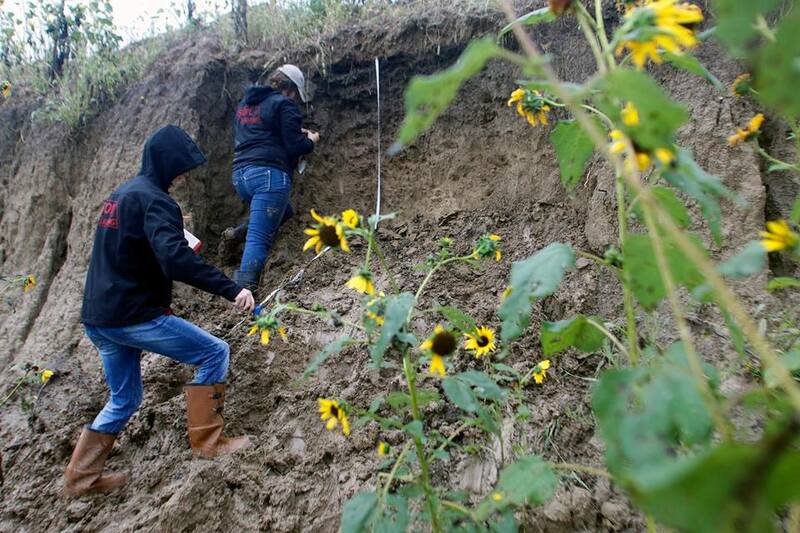 Rain — nearly two weeks of it — didn’t stop them from heading into the field Sept. 7, 2018, to a former mine just south of Lincoln to train for the upcoming Regional Soil Judging Competition in Manhattan, Kansas. The group will leave Sunday for the competition against Iowa, Missouri, North Dakota, Kansas, South Dakota and Minnesota. For the past three weeks, the team, made up of School of Natural Resources and Agronomy and Horticulture students, have been testing their skills in pits in and around the Lincoln area. They’ll take their last practice run this Friday. Judith Turk, pedologist with the Conservation and Survey Division at SNR, and Rebecca Young, assistant professor of practice with the Agronomy and Horticulture department, co-coach the group. See photos from the field.